Shanita Namuyimba, Latifah Nalukenge are all names referring to the same person who also is known as Bad Black. Since November 2010, Bad Black has been making news on these pages and just when she was about to make a year, a line was drawn between the old Bad Black and the new Bad Black. She has always praised Meddie and that is what she does for a living but getting a photo where the two are together is next to impossible. It was about to happen when Meddie was arrested. He then called out to Bad Black for help and on arrival she was also arrested but even in such a situation, a photo opportunity was not possible as they were taken to different locations. 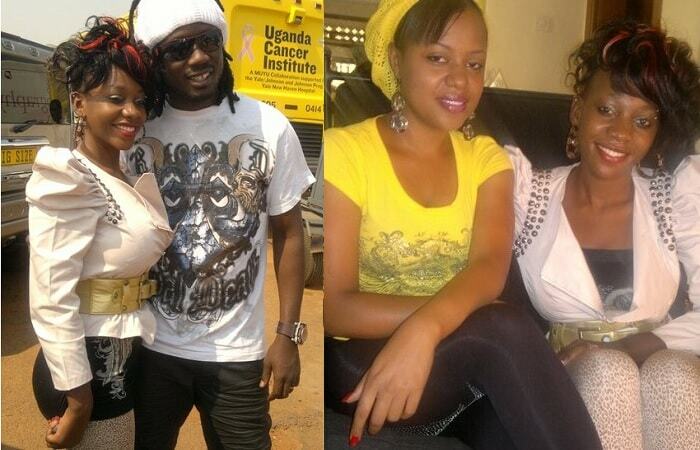 Bad Black and Bebe Cool - In February 2011, Bad Black and Bebe Cool were close buddies and together handled a cancer project to which she donated US$20,000 in support of a girl who had cancer, she later died. Zuena and Bad Black at Kololo Airstrip - She is Bad Black and her colour by default was black so she extended her support to the ruling party whose colour is yellow coming up with an alliance of sorts dubbed 'Black and Yellow' to which she also supported with some good millions. Bad Black with Fake MEDDIE Tattoo - In March she had an idea of having a tattoo of her boy friend Meddie on her back like so many have done but instead got a marker and wrote on her back. Just recently, she had upgraded to a real tattoo on her back with a wrong spelling of Meddie. 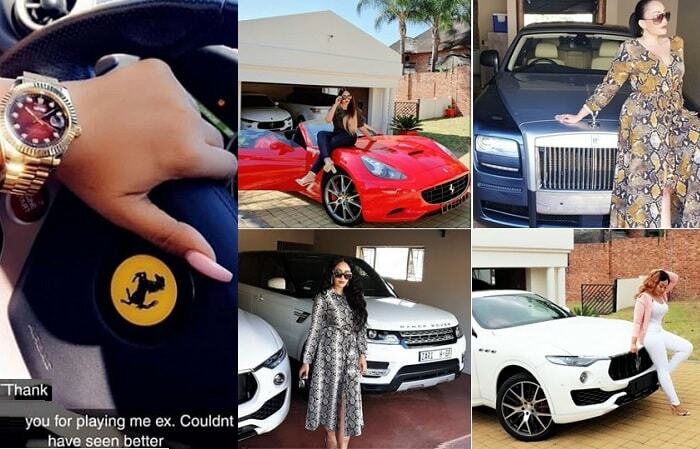 Bad Black's ML 320-CDI - In May, 2011 she added a Merc to her fleet of vehicles that included a BMW X6 and Range Rover Sport trying to out place Zarie on her game which she seems to have mastered well. 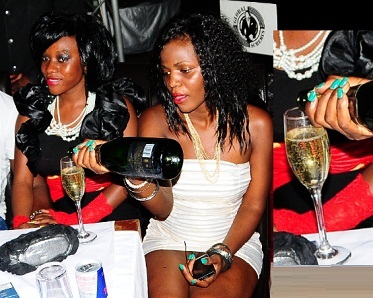 Bad Black Turns 22 - In July, 2011 Bad Black turned 22 splashing money that those above 55 had never thought of having wondering where the young girl had got all this money. Bad Black on Her Birthday hired a limousine, sealed off Club Rouge and booze was on the house. Bad Black Frustrated - By the end of July, it looks like this case had started cropping up because many were left wondering what was happening to the young money bags but with her recent arrest, we can now conclude this is what was going on in her mind at the time. 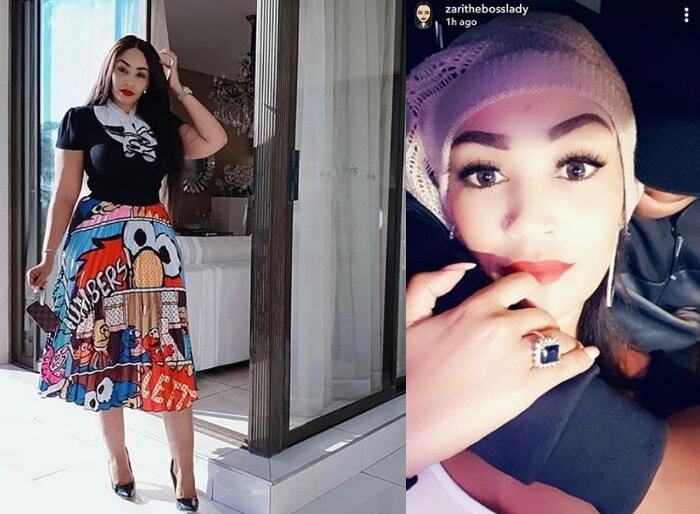 The Zari-Black Hug - After her Black Gal Party which now seems to be the last one of it's sort after her arrest, she decided to attend the Zari All White Party but you could still see she was not happy. Bad Black Feels Mr. Flavour - This was one of the last moves by Bad Black before her arrest. She paid Mr. Flavour US$10,000 for a private show. Bad Black's last donation was when she donated 5m shillings during the 'Running in Heels' event at Serena hotel organised by Sylvia Owori. Interestingly she did not know where to write the words and figures on the cheque leaf. We hope the cheque cleared because three days later the money from which this account was to be knocked off was under investigations.